Showing results for tags 'police scotland'. Hi Everyone, Currently going through the selection process and looking at a march intake. Has anyone else been comfirmed for this intake yet? the recruitment team have been doing around 40/50 interviews the last few mondays so guessing it’ll be a big intake and was thinking of putting together a group chat to help everyone prep etc. Mock Questions and General Advice for the Police Scotland Initial Interview? Pretty much the title. How long will the interview be? Will they ask a question for every competency? How many questions? And an idea of just how much job knowledge I need to memorise would be great too as I think I might be going overboard for this stage and am struggling to take everything in. Just to clarify where I'm at, I have passed the application and Standard Entrance Test and am due an interview the coming week. Long time since I've posted here, but wondering if anyone can help. I'm trying to get hold of a Lego mini figure with a likeness to a typical Police Scotland/UK police officer. I've tried looking online at the likes of eBay and other sites, but can only find cops done up like SWAT or with a custodian helmet or police of different countries. Anyone got any idea where I can get something more routine? Transferring from E&W to Scotland? My wife's parents are potentially retiring to Dumfries in the not too distant future and the idea of transferring north of the border has come up. It would help with child care and allow us to be near them as they get older. I'm not 100% convinced by the idea but I can see the merits in moving: there would be the added bonus that I could either be mortgage-free or upgrade to a much nicer house compared with what I have in the London-area. This is a very early fact-finding stage and I'm not set on the move - indeed, before this morning I didn't even realise a transfer was possible. 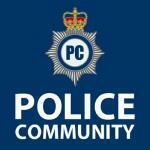 I'm currently a PC in the Met with nearly 8 years service. I'm in a specialised (although not too specialised!) role. Up until a year ago I was a bog-standard uniformed neighbourhood cop, before that I was a response cop. So, my questions are: - Is there anyone on here who has made the change over? How did it go? How was learning a new legal system? Was there a big culture change? - What's the Dumfries/border area like? What's it like to live? What's it like to police? I was looking at Lockerbie as it seemed to have good transport links to both Edinburgh and Glasgow (thinking about potential jobs for the wife) but also back down South. Is there anyone you would definitely not want to live/work? - What is morale like? I would imagine it is better than most forces down south. What are promotion/job prospects like for specialist roles? I currently do a very interesting, albeit niche, role and fully accept that I will have to go back to being a response or neighbourhood cop - that doesn't bother me but if there are prospects of moving into other departments a few years down the line then I'd like to: part of me sees going back to response would be something of a "backward step". I have a friend who moved to a small English force and he said that everything was pretty much "dead man's shoes" and that you would need to expect to spend 30 years in uniform. One of the benefits of the Met is the absolutely huge range of jobs available. - On a rather more silly note, how would being an English Cop in Scotland go down? Both with colleagues and with the public. I can see myself getting plenty of ribbing.... but would there be downright hostility from the "customers"? (more so than usual). - Are there any particular areas that people would recommend to live/work? - Are there any other comments or pointers anyone would make? In terms of next steps I'm weighing up my options: Police Scotland are currently recruiting transferees and I'm seriously thinking of putting in an application. It seem like a long process so I would have plenty of time for fact finding and house hunting. In the meantime I'm thinking of making a little scoping trip up there to see what I think of the place. Hey folks, Applied for Police Scotland in April 2017, passed the assessment centre/final interview on 16th November and passed my medical in December. Waiting for my vetting and references to come though, and I also need to go for my final fitness and SMT. May be a long shot but is there anyone who was also at that assessment day and is waiting to be called in again? Or any of you that may be able to give an educated guess on how much longer I can expect to be waiting? I imagine the delay would be due in part to the Christmas holidays. Cheers for the help! HI all, I'm currently going through the application process at the moment but I was wondering what sort of opportunity there is for overtime during probation and whether it comes with extra pay at all (and if it does, how does that work)?.